Imagine a future where every cat and dog has a home; and euthanasia is a thing of the past. For as long as there are homeless cats and dogs in Midland, we will be working to rescue them and find them homes. We're envisioning and building a better tomorrow for these pets. With the support of the Midland community, we can begin the construction of a new facility that will enable us to make this future a reality. Moving to this bigger space will allow us to make a bigger impact and save more lives. ​At nearly 30,000 square feet and situated on 7 acres, the state-of-the-art Van and Joe Mabee Wellness and Treatment Center will provide a temporary safe haven for animals waiting to be adopted. 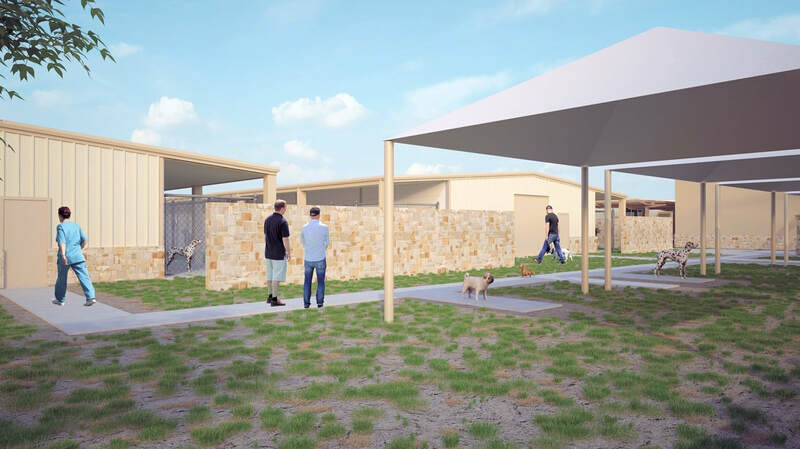 a fully equipped Wellness and Treatment Center for pets that will be able to provide health care, rehabilitation and socialization for a greater number of rescued pets. a venue for low-cost clinics that will offer affordable pet care services to the community, such as spay/neuter, vaccination, and microchipping. a place where the public can access a variety of programs for pets such as: obedience classes, pet therapy, puppy play classes. a space for education and sharing resources about pet health & wellness and animal welfare. People from the Midland community will be able to access walking and jogging paths to walk their dogs. Resident cats and dogs will have ample play areas and plenty of space to run wild and free. The new Wellness and Treatment Center will not only be a a safe haven for pets, but also provide a place for our community to be interactive partners in creating a better future for Midland's pets. We can't accomplish any of this without help. YOU can help change the path of Midland’s cats and dogs. ​Make a donation today and help us build the Wellness and Treatment Center. 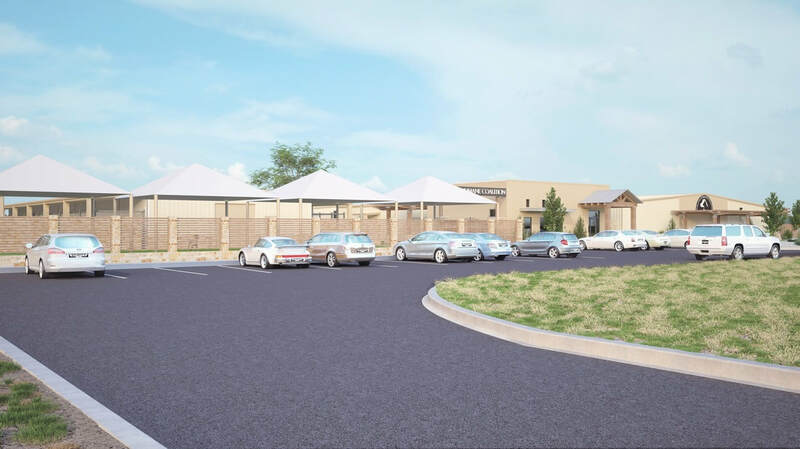 The Van and Joe Mabee Wellness and Treatment Center will be a safe haven for rescued pets. Midland Humane Coalition is a 501(C)3 non-profit organization whose mission is to partner with the Midland Community to end euthanasia of and to find Furr-Ever Homes for healthy, adoptable Dogs and Cats. Get the latest on Events, Adoptables, and more!